There. I’ve admitted it. After all these years, I am learning to knit. I’ve never been a fan, it’s fair to say. There were better things to do with my time; not that I had the time to do better things. I felt superior. That knitting was beneath me. Fanciful yet dull. Not cultured enough. I suppose I even looked down on those who spent time and money on this hobby. Believing them and their creations to be less than. Preferring shop bought perfection over (what I saw as) imperfect and clumsy looking. I was the same with houses. Give me a modern, easy to maintain, some say characterless, property over an older one with its quirky features and creaky floorboards any day. I didn’t see the joy. The love in every stitch. The story in every room. All I knew was prejudice – towards knitting and crafting. Towards joy. In a few short months I have been truly humbled by some new friends. Their love and joy for this most ancient of crafts has made me realise how much I have been missing. Hand crafted items that I once would have been disdainful of, I am coming to regard as things of beauty. Things that have the power to make my heart sing even. So, last week, I began to learn to knit. It did not start well. The woman in the shop asked me if I had chosen the right size needles. Did they have the right number on them? She obviously saw my hesitation and suggested I could go back and change them if they were the wrong ones. I just nodded. I hadn’t the faintest idea what she meant. Her next question stumped me completely. But in a moment, across the counter, I knew it didn’t matter. I knew that whatever I knitted would be beautiful. It mattered not what it was, or how long it would take to finish – if ever. I paid, stuffed the needles and a ball of wool into my bag and left the store. When my baby was born with Down’s syndrome I had many other prejudices that needed taking down. Prejudices about people with Down’s. Ideas that they were somehow less than other people. I craved the perfection I saw in babies without an extra chromosome. I asked why my baby had been given the wrong number. I wondered what she would become. How would she turn out? Others asked this question too. Some asked it before she was born. They said I could forget about her and try again. Hopefully get one with the right number. For all my prejudices towards people with Down’s syndrome, this suggestion was abhorrent to me. Five and a half years on and I know now she does not have the wrong number. She has a different number. Knitted together….fearfully and wonderfully made. And there is love in every stitch. With thanks to the knitting & non knitting geese in my life. 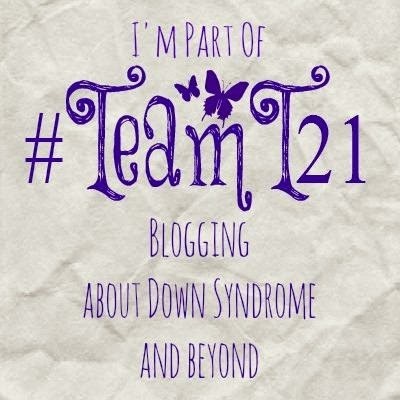 Categories: Down Syndrome, Down's Syndrome, Joy, Trisomy 21, Uncategorized | Tags: #downssyndrome, #downsyndrome, #knitting, #loveineverystitch, #Psalm139, #Trisomy21, joy | Permalink.